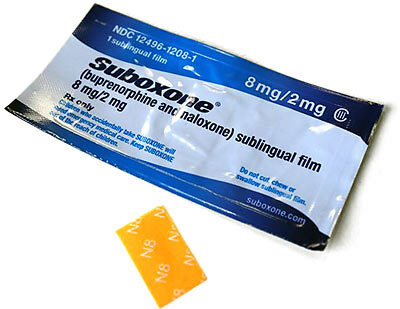 Suboxone has been a very effective new treatment for opiod dependency in the last several years. Pittsburgh has always been a pioneer in new medical treatments, and Suboxone has been available in Pittsburgh now for a long time. There are a few in-patient hospitals that provide Suboxone Pittsburgh, but the best out-patient facility, where you don’t have to ever stay or miss work, is Journey Healthcare, located in Robinson Township. A combination of Buprenorphine and Naloxone make up the drug called Suboxone, which is used to treat opiate addiction. Journey Healthcare is the premiere way to get Suboxone Pittsburgh. However, the naloxone content in the drug blocks the effects of opiods like morphine, heroin and codeine. The Buprenorphine is a medication for opioids and is similar to morphine, codeine and heroine. However it produces less euphoric effects and may be easier to stop taking. All prescriptions carry risks and side effects, but Suboxone Pittsburgh has a very low amount of negative effects when taken in the correct amounts by a licensed practitioner. How often do you take Suboxone Pittsburgh? Your situation is unique to you and we will sit down with you and go over the exact details. Factors such as how long you’ve gone without opioids, your level of withdrawal, and the nature of your usage will determine the exact plan of treatment with Suboxone. Everyone is different. We will work with you to provide the optimal dosage to get you healthy as soon as possible and get your life back. Suboxone Pittsburgh. Other support needed? Although comprehensive recovery with counseling and clinical support is preferable, if you’ve been through that and just need physical addiction help, Journey Healthcare can prescribe suboxone Pittsburgh to drastically improve your success with eliminating opioids from your life once and for all. Your addiction to opioids is complex. It doesn’t make you a bad person, but it has the potential to ruin your life. Getting help is the only way. You can pick up the phone and call Journey right now. If they’re closed, leave a message. Putting it off until tomorrow will only make it worse. Call Journey Healthcare at (412) 668-4444 and finally get on the path to recovery by exploring the benefits of Suboxone Pittsburgh. We provide premiere, office-based medication assisted treatment by offering the highest quality of services accessibly, ethically, privately and sincerely. Using state-of-the-art treatments like Suboxone and Vivitrol to combat opiod addiction and help you get your life back. Copyright © 2019 Journey Healthcare. Powered by WordPress. Theme: Spacious by ThemeGrill.